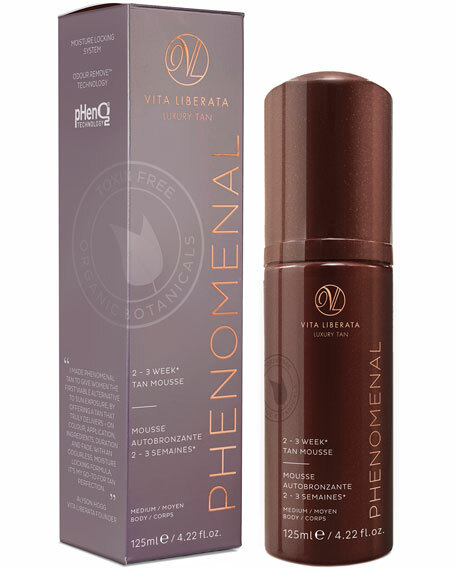 For the longest-lasting tan, apply three times over 12 to 24 hours, showering with water only before each application. Ensure skin is clean and exfoliated. Use the Tan Mitt (sold separately) and, with two to three pumps at a time, apply with circular movements. Use sparingly on hands, feet, knees, and elbows. Do not moisturize prior to application. If naturally pale, leave longer before showering. 125 mL/ 4.2 fl. oz.